Mussel Shells In My Wooded Yard On Cape Cod? 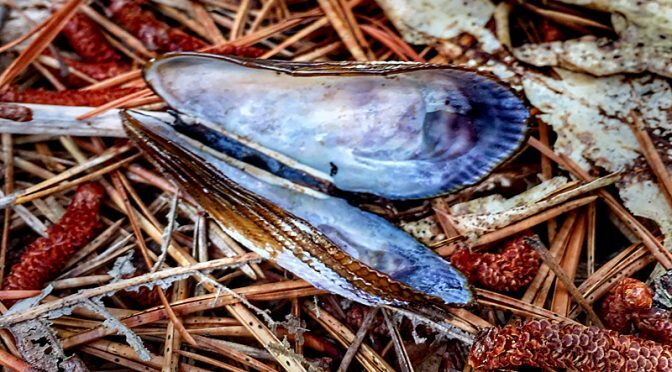 I was meandering through the woods at my yard when I saw this shiny Mussel shell on the ground. How on earth did it get there? I walk there pretty frequently, so I know it hasn’t been there very long. I looked up and there was the perfect branch to perch and pick at a Mussel shell for lunch, or dinner or whenever. You can find some things in the most amazing places! But it’s very attractive litter!